Light and bright in appearance, the nose displays flinty and expressive tropical fruit flavours. Light and bright in appearance, the nose displays flinty and expressive tropical fruit flavours. The palate is focused and defined with a mineral backbone and a fine mousse. With a fresh acidity, the wine concludes with a zesty and toasty finish. The grapes were whole-bunch pressed using only the freerun juice and fermented, before being aged in a combination of 500L barrels and stainless steel tank for 7 months. Following blending, bottling and secondary fermentation, the wine was aged for a further 29 months before disgorging. 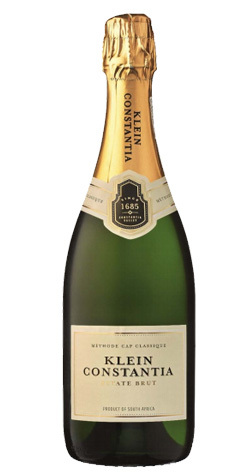 Prized by leaders and aristocracy throughout 18th Century Europe, Constantia’s Vin de Constance was revived by Klein Constantia in 1986, reaffirming this unique natural sweet wine’s place in history. Today, Klein Constantia continues to make some of South Africa’s top wines and the world’s best dessert wines; wines that reflect the cool Constantia climate, as well as our historic tradition.